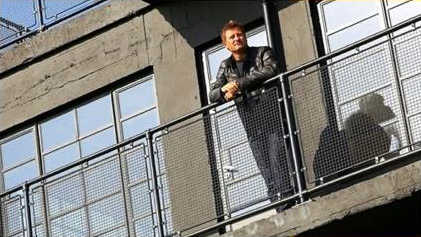 A recent exciting project filmed last year for George Clark's Restoration Man saw us helping a client Justin & Charlotte Hooper who purchased an ex RAF control tower located in Fearn north of Inverness on the Black Isle. The project was to blast clean the internal brickwork and ceilings which is around 5000 sq.ft. We removed the graffiti, dirt, paint and plaster etc leaving the brick looking fresh and clean. As our system is 100% mobile we visited the site and over to space of a week completed the work. - Justin also got involved after we kitted him out in safety gear and let him loose on an upstairs section. SodaBlasting is an amazing technology that has been used in the US for many years, it was initially designed by Soda Blast Systems in 1941 to provide a safe and non destructive method to clean almost any hard surface. It was used to clean the Statue of Liberty in 1972 and was brought to the UK over 20 years ago. Baking Soda is used in many foods, bread, cakes, toothpastes medicines etc and is a non-toxic water soluble soft substance. ECO Pressure Clean chose the system from Soda Blast Systems UK as it offers a non-abrasive, safe and environmentally friendly option to clean and remove graffiti, paint, oil, grease, dirt etc and many other contaminants without any causing damage to the original surface that needs blast cleaned. 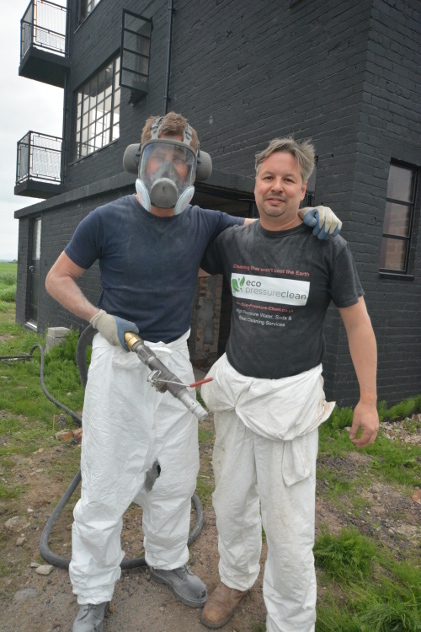 Projects include graffiti removal, engine blast cleaning and anti foul paint removal on boats. 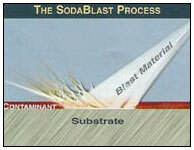 Soda Blast Systems units can also be run wet or dry with water being added at the head end to help control dust etc. This system adds to our ECO cleaning capabilities and fills in where water pressure cleaning is not always the best option or where it simply cannot cope. And Soda is water soluable so after cleaning it just rinses away. The possibilities are endless when you start to think where Soda Blasting can help... recent projects include blast cleaning a VW Camper van, a large Scottish farmhouse, Ford classic car parts, a hardwood frame for a Grand Designs home, cleaning on a 12m high stainless steel water tank and cleaning boat parts and a hull at the Royal Yacht Britannia. Soda Cleaning has rivals like; grit blasting or sand blasting but Soda Blast Cleaning does not cause abrasion, sparking or any heat build up to the surfaces being cleaned - so it can be a much cleaner and safer option. Unlike conventional gravity fed equipment, SodaBlast Systems’ design differs in that it is non-plugging with constant abrasive discharge and positive abrasive control. The cross-section view in this diagram reflects the principal operation. The compressed air passes through the air inlet nozzle into the outlet pipe causing a venturi type action to draw the abrasive into the air stream (like sucking through a straw). This design does NOT require soda flow adjustment at the nozzle in contrast with bottom fed blast pots. This air/abrasive mixture is then forcibly discharged from the machine. The result is a constant & uniform abrasive discharge with non-plugging performance.